I’ve been following the musical career path of the artist behind Asath Reon for several years now. Back around early 2015 I found his old project Morvranh. I quickly fell in love with sounds of his music. The darkness was heavy, the sounds were subtle, perfect for increasing that dark augmentation to my surrounding atmosphere. Over the next few years, Morvranh continued to gather the releases. As a solo artist his albums found their way to labels such as Forest Path, where his first album, Mysterium had a digipak release. His work with Ruairi O’Baoighill in the form of Order of the Black Dawn released their first collaboration through Noctivagant Records. Early 2017 saw a change of direction for Michal Polgár, from Handlová, Slovakia. Starting with a fresh slate, Asath Reon was born. This project would go on to record the debut, Buried Visions, which has been released through Black Mara Records, out of Novosibirsk, the Siberian city in south-central Russia. True to form, when it comes to Black Mara, the release was given an impressive production. 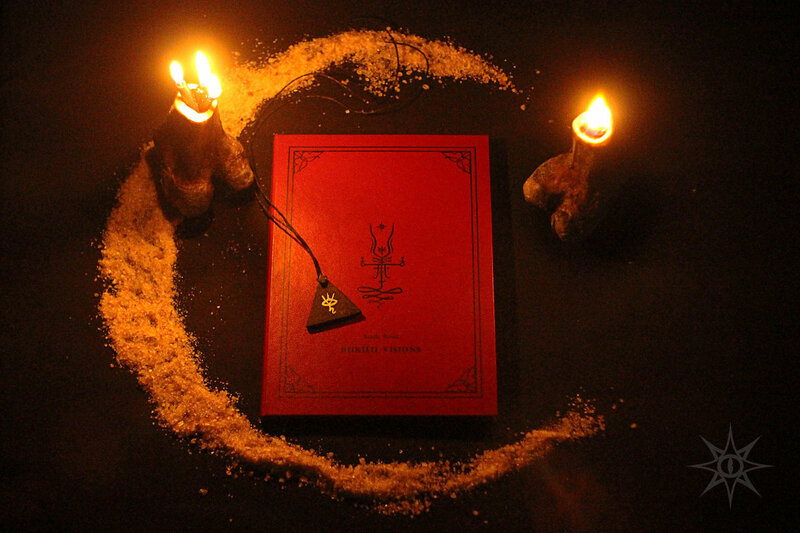 The album is available in an exclusive limited-edition, on a CD that comes with a red leather hard-bound book, themed photos, poems and quotes, as well as a hand-made wooden pendant. There is also a themed t-shirt coinciding with the release. Asath Reon takes Michal Polgár into some of the darkest territory we have yet witnessed from him, arguably darker even than much of the Black Mara discography! Its foundation lies directly in the ritual ambient sub-genre with a full array of sounds drawing it to this placement. One need look no further than the opening track, “Aka Manah”, to find so much of what makes this project truly dark. There are singing bowls, human chants, recitations from some malefic book in a deep guttural tonality. All these elements sit atop a layer of hollowed-out drone-work. 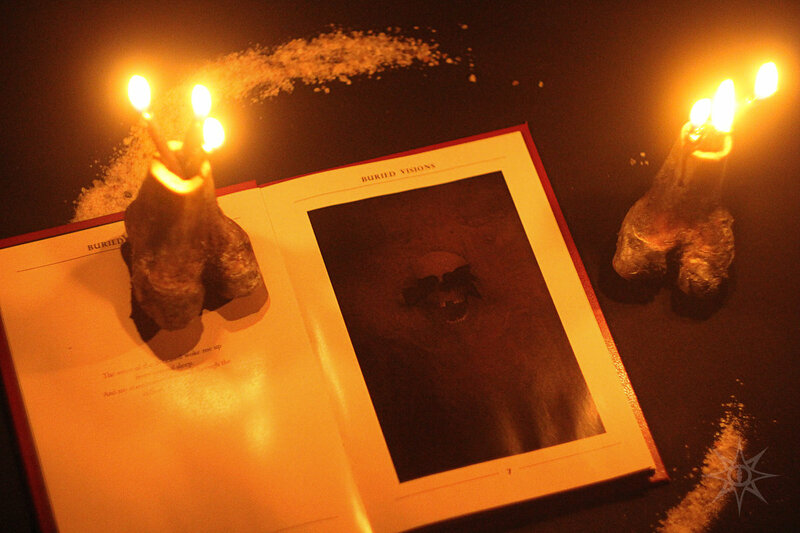 By the end of the track, the ritual is underway and the listener is primed for the further plunge into these daemonic rites. Much of the album more or less follows these patterns described in “Aka Manah”. The music could be compared to that of Shibalba. I use Shibalba as a reference to these sorts of albums quite often, but it really is the case. The one point that Asath Reon differs noticeably and may even surpass Shibalba is in the use of this guttural vocal element. The vocals produced by this artist are beyond malign and seem to arise directly from the fiery depths of the earth. On “The Timeless Self” the vocals seem to come, not from some dark priest, but instead from some horrendous creature, some truly demonic aberration. The drones, chants, ritual instruments and field recordings come together in a cacophonous wall of sound that eats away at the sanity of the listener. This is not to mean that the sounds are unpleasant, everything works together as a seamless whole, that feels right, regardless of the depths of its darkness. We should not be surprised to hear such a quality release. Black Mara have continued to prove that they are not going to back down from the realms of ritual dark ambient. They are slowly finding their niche, which diverges greatly from that of a label like Aural Hypnox, but finds an equally attractive balance and consistency in its form of ritual darkness. Michal Polgár has been honing his skills for years, and now more than ever he seems like he’s truly found his calling. 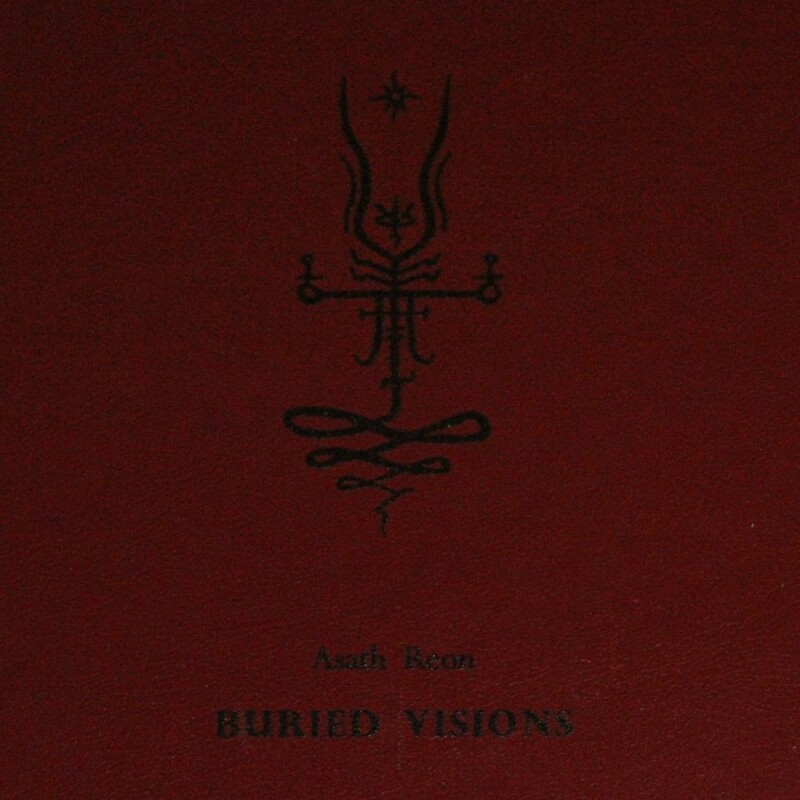 I would highly recommend Buried Visions to any fan of ritual ambient music. Asath Reon could easily become one of the heavy weights in this genre.